【Podcast】Episode #2: Action on the Pitch Heats Up in Europe! Who’ll be taking home the hardware in the EPL, CL & Europa League? Mr. Bookmaker shares his thoughts and the odds. 【888sport】It’s Time to Hit the Sand as the 2017 Beach Soccer World Cup Begins! 888sport highlights who’s favored to win their respective group and go home as champs in the Bahamas! 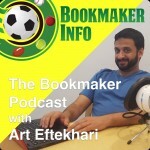 Mr. Bookmaker himself, Art Eftekhari, kicks off the inaugural podcast covering the A-to-Z’s on how to get started wagering on sports online. 【bet365】The Oddsmakers Have Spoken! 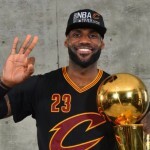 Who’s Favored to Become Champions of the NBA? Sportsbook bet365 highlights the various lines covering the NBA Playoffs. Can the Splash Brothers ascend back to glory in 2017? 【bet365】Can We Expect Some Upsets on the Way to Lord Stanley’s Cup? The Linemakers Weigh In! Bookmaker bet365 unveils the NHL odds for this year’s playoffs. Will the Pens be able to defend their crown? 【bet365】Can Sunrisers Hyderabad Claim the Crown Again in 2017? IPL Cricket Action Commences! Who will be the top batsman & bowler during the upcoming 2017 IPL season? bet365 sheds some light on the odds! 【bet365】Who’ll Lay Claim to the World Series in 2017? The Oddsmakers Chime In! Sportsbook bet365 reveals the MLB favorites for 2017. 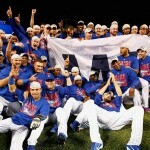 What are the odds on the Cubbies to repeat as champs?